1> illustrators, including professionals and newcomers, submitting unpublished works or works of published. 2> art colleges submitting projects produced by their students in the last four years of study. 3> publishers presenting their illustrators. Sponsor: Red Man Art Center. You can choose any theme, painting works. 1) The works whether they have been awarded in other contests previously will be accepted. 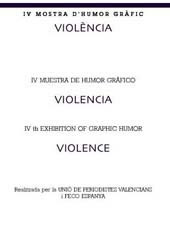 2) 8 original illustrations (minimum number), produced using any technique, including computer graphics (in case of mixed technique, please send both original drawings and printouts of the ultimate artwork). 3) The minimum 8 -- maximum 100 entries should be submitted for each category.These works form a story.Work is only allowed in Chinese or English. Words can't appear in works. If you need to writing, must be in English(or Chinese), writing the other a piece of paper .English(or Chinese) words according to the serial number order of works to write clearly. 4) The works should be accompanied by the author's resume and photo (or caricature). 6) Technique and medium of works are unlimited. Any painting, Print making, Traditional Chinese Painting, Oil painting, Watercolor, Crafts art or sculpture will be accepted. 7) Competition does not charge any fee. The self made entry form is not accepted.Each author must imperatively enclose the entry form, filled in every part and duly signed. 1) The first stage(Digital works): 31 of August, 2017. 2) The second stage(Original works): 10 of October, 2017. Please E-mail your works to: hongtuart8@163.com (or-- hongtucp@163.com), There is no limit on the number of works. You can upload more than one book or some books illustrations. After your works was selected, the organizing committee will notify you, send your original works mail to the organizing committee, to participate in the final awards. The largest number 8 works. 1) The jury committee is composed of artists, press editors,illustrators,cartoonist. 2) The jury meeting will be held on December, 2017. 3) The committee will announce the result on January, 2018 on web site. At the same time organizer will contact the winning artists via postal mail or email. Explicitly participators have whole copyright for their entries. The committee has the right to use all the submitted works to spread competition on media, websites, posters, post cards, advertisements, etc. The authors whose works has been selected will receive one copy of the catalog made for the competition. 1) The submitted works will not be returned. They will be exhibited and displayed in Redman International Cartoon House. 2) Participation in the contest means the complete acceptance of all the above conditions and agreements with jury's decision. OBJETIVO: ¡Por favor, escuche esta canción e inspírese! Dibuja una caricatura basada en la letra y la música que tenías corazón antes que hacer algún contenido gráfico o de video y pintar algo relacionado con la canción. ¡SEA CREATIVO, UTILICE SU IMAGINACIÓN! ¡Nota! ¡Los mejores videos se tocarán en conciertos promocionando también a los artistas! ¿Qué demonios crees cuando miras a mis ojos? 2. La competición sólo tiene una ronda. Cada aspirante puede proporcionar un máximo de 10 contenido gráfico que NO TIENE letra proporcionada dentro. La extensión de archivo DEBE SER el siguiente ... (CYMK, jpg etc.) y tiene que ser de alta calidad. 6. Todos los aspirantes son conscientes de que el envío de su Contenido Gráfico, que están de acuerdo que la decisión del jurado es definitiva y todos los derechos están reservados. 7. El aspirante contribuye a que el contenido gráfico dado pueda ser utilizado por la banda DLRM LIBRE y SIN SER CARGADO, haciendo referencia al concurso de dibujos animados. ¡Deseamos a todos los aspirantes una competencia exitosa! - el uso o uso no autorizado de marcas, logotipos o derechos de autor. El contenido subido no puede contener ningún derecho de propiedad intelectual que esté protegido por la ley o que esté en vigor, a menos que se conceda al jugador el derecho de uso. - Promoción de productos y servicios comerciales. - Uso de contenido pornográfico o sexual. - Cualquier tipo de contenido odioso (incluyendo racismo, sexismo, etc.). - Cualquier contenido violento, ofensivo o cualquier contenido ofensivo / indecente, obsceno, inapropiado (discurso de odio, símbolos políticos, demostración). OBJECTIVE: Please, listen to this song and get inspired! and various artistic and other events. • The drawings must be black and white or in color. • Each participant may present up to 3 drawings (size A3). • Resolution must be at least 300 dpi. • It would be preferable that the drawings should not contain any text or comments. In case they do, the English or Greek language should definitely be included. • The use of collage is prohibited. • The drawings must be sent via e-mail. other cartoonists’ works will be disqualified. • The drawings should not have been exhibited before. • The drawings should not have offensive content. of each participant is required. • Eminent experts from the world of Letters and Arts will make up the Committee. • Participating artists will not receive any kind of payment for their participation. • Copyright of the exhibition belongs to the organizers. • Participants will receive a digital catalogue of the exhibition. • Participation in the exhibition implies full acceptance of all the above terms. Yiannis Kaltsas Coordinator of Ο.C. All participants whose works will be exhibited will receive a Digital Certificate of Participation. The caricaturists can participate at the Competition with three caricatures. The dimensions of caricatures shall not be bigger than 30x40 cm. The caricatures shall unconditionally be original. The caricaturists have to write in capital letters their names and surnames, address, telephone number and their countries on the back of their works of art. And their CV’s (curriculum vitae) have to be added to their caricatures. The caricatures shall be delivered to the given address at the latest 17July 2017. The results shall be announced on 26 July 2017. Special Prizes: Special Prizes offered by various establishments, associations, newspapers, art magazines, syndicates and agencies.